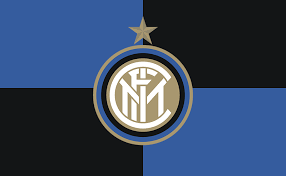 January 28 – Inter Milan is now under full Chinese ownership with private-equity fund LionRock Capital having the 31.05% stake retained in the club by in Indonesian Erick Thohir when he sold to Chinese electronics retailer Suning Commerce Group in 2016. No value has been given for the deal but Suning paid € 270 million as part of an overall €750 million deal that saw them take on €230 million of debt and a €100 million loan from Thohir, as well as the financing requirement to invest in the playing squad to take the club forward. Steven Zhang, president of FC Internazionale Milano said in a club statement: “In 2018, thanks to the efforts of the entire staff, of our management, coaching team and players, we have achieved strong results in sports performance, commercial growth, and marketing and media innovations. This gives us full confidence for the future development of the Club and has led to the interest of LionRock Capital. Inter have grown aggressively in China since Suning took control, primarily based around the establishment of a number of Inter Academies throughout the country.